According to a recent study, published in The Journal of Nutrition, making hazelnut a part of your daily diet could turn out to be favourable for your overall health. According to a recent study, published in The Journal of Nutrition, making hazelnut a part of your daily diet could turn out to be favourable for your overall health. The study, administered by the Linus Pauling Institute at Oregon State University, found that the levels of two key micronutrients in older adults improved to a great extent when they added hazelnuts in their diet for a period of 16 weeks. For the study, the participants were asked to consume hazelnut for a period of 16 weeks. In order to determine plasma and serum concentrations of magnesium, lipids, glucose, insulin, and high-sensitivity C-reactive protein along with urinary vitamin E metabolites, blood and urine samples and anthropomorphic measures of the participants were taken at the start and end of the intervention. 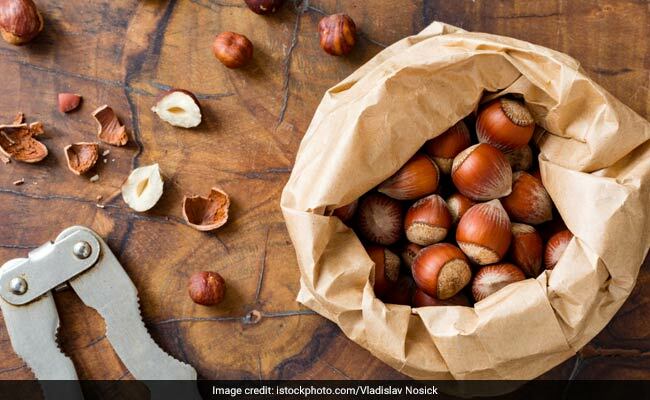 According to the researchers, the objective of the study was to determine whether daily hazelnut consumption by healthy older adults for 16 weeks improves biomarkers of micronutrient status, especially vitamin E and magnesium. The findings of the study showed increased blood concentrations of magnesium and elevated urinary levels of a breakdown product of alpha-tocopherol, commonly known as vitamin E. In comparison to people who didn't consume nuts, the participants who ate hazelnuts saw noticeable benefits that increased along with the number of servings of nuts they ate. The participants, who consumed nuts once a week, had small but still significant benefit; however, the ones who ate them seven times a week had nearly twice the benefit. Hazelnuts are a treasure trove of essential vitamins and minerals and are quite nutrient-dense. The study conducted by the researchers was an observational in nature and the findings of the same complemented the existing knowledge about the role of nuts in heart health.